The Danish singer and composer's new album Citizens of Glass combines sounds that are hypnotising, calming, disturbing and thought-provoking. 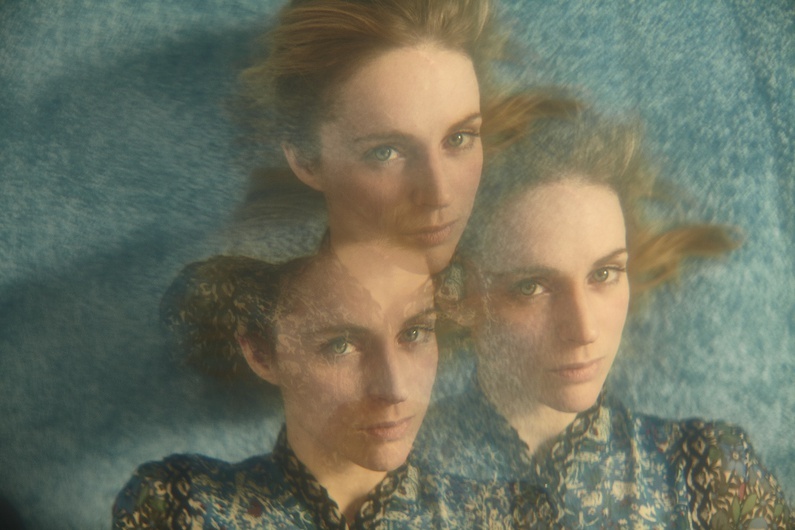 We met Agnes Obel, the artist who feels like she is made of glass. "It's bizarre. I'm really happy making music but it's not easy for me to talk about it," explains Agnes Obel, the Danish singer and composer who is uncomfortable in public places. Despite appearances, she hides her shyness well and seems to possess a subtle happiness that only those who feel completely comfortable with themselves ever reach. She is sitting in the inner courtyard of a Paris hotel, dressed in a long black dress. She has just arrived from Berlin, where she had been living for 1o years, to promote her third album Citizens of Glass, in which she explores experiences of reality. Although her diary is jam-packed with interviews and events, she does not seem to be in a rush. She listens attentively, smiles and reflects for a few seconds before launching into a response to each question. Although she is not the type of person that enjoys speaking about themselves, my instinct tells me that I should ask her first about her emotions. Agnes, do you feel like you are made of glass? "I like that question because that's actually exactly how I feel. When you write songs, you end up turning into the material that you write about. Yourself, your friends, your family, your personal crises, your heartbreak... you reveal everything in a deliberate way, using the lens that people see reality through", she explains slowly and thoughtfully. The idea of "glass" is a concept that she has spent a lot of time thinking about since seeing the term "citizen of glass" in German media (gläserner bürger). The term refers to the level of privacy we have nowadays, what people know about us and what they do not. "It seemed like such a beautiful and poetic concept and I thought that I could maybe connect it to the feeling of being made of glass. In the end, the whole album was built on that idea," she says. The ten songs on her new album, which she composed and recorded herself, could tame a wild beast. They could also save a human trapped in the cold world of technology, or even wake up an entire society that looks at the world from just one perspective. The melodies are not radically different from her previous albums, Philharmonics (2010) and Aventine (2013), although this time, there is more space for experimentation. The result is a beautiful and mysterious fusion of nostalgia and abstract thought, which can be quite dark at times. You can hear her voice, which is sometimes doubled, combined with the sound of pianos, violins, clarinets, cellos, harpischords, medieval harps and even a trautonium from the late 1920s. With all of these instruments, she needs a lot of hands on deck. So Agnes does not perform alone; at each concert, she is accompanied by a band composed mainly of women. Together, they create an incredibly evocative atmosphere that seems like it could explode into a thousand pieces at any moment. However, it is more stable than it appears. "Glass is exactly like that. It's a very strong material but at the same time, it's very fragile. It's wonderful. I feel the same way. I'm happy that you noticed that tension in the songs because that was what I hoped to express when I composed them." "Our love is a ghost that others cannot see"
Agnes always loved music. She was surrounded by music from her childhood, thanks to her parents, who were not professional musicians but played many instruments. She learnt how to play the piano and went to a music school. However, as she grew up, she realised that her milieu expected other things of her. "At times, you can completely sense when people expect something of you. The reality was that no-one believed that I would dedicate my life to music." For that reason, to please the people around her, she decided to study media, culture and literature at university. "A bit of everything, because I didn't have any ambition really. The good thing is that the Danish government gives you a stipend when you are a student. So, I was sort of postponing my divorce with academia for a few years, because I knew it couldn't work on the long term", she explains. Then, she saw the light. When she left to go to Berlin at 26, she was overwhelmed with feelings of happiness. "Music was something that was so important to me that it scared me to say that I wanted to make a career of it because I could have fallen short of expectations. I was very afraid of failure." She continues: "I know that if I had stayed in Denmark, I would have followed other peoples' dreams and not my own." Agnes knows exactly what she wants to do and why, or at least that's how it appears. Due to her strong will, it did not faze her to move away from the country that is said to be the happiest in the world. "I need a lot of peace and quiet to write songs and that's exactly what I didn't have in Copenhagen. So I left," she recounts serenely. Looking back at her first album Philharmonics (2010), she recalls that she never could have imagined the great reception it would have later on. "There is something powerful about writing your first album, you don't have any expectations. You just create it from a place that is truly your own," she explains. The private motivations behind her music remain a mystery. Much like the singer herself, who is not the same person as the teenager who avoided the spotlight and quietly wrote her own songs, who would go on to attract widespread critical acclaim 10 years later. After receiving multiple prizes from the Danish Musical Academy, European critics in Germany, France and the UK are now hot on her heels. In 2012, Agnes received the European Border Breakers Award, a prestigious prize that the European Commission awards to young artsts whose music has managed to cross borders. Other winners include Adele, Mumford & Sons, Stromae and Damien Rice. The single 'Beast' from her first album 'Philharmonics'. Before continuing the conversation, the words "European", "break" and "borders" force us to take a break to discuss the world that Agnes observes through her songs. What do you think of the refugee crisis? "I'm disappointed with Europe. We have had the perfect opportunity to find a solution together. It was the ideal moment to collaborate, and we are failing. Germany and Sweden have both tried to be leading examples. But Denmark, my own country, has been driven by wrong and sometimes small-minded politics." She goes silent for a couple of seconds and continues: "It upsets me to see that extreme right-wing groups are gaining popularity due to fears that are completely irrational," she says, frowning slightly. Silence continues to dominate the conversation, exactly as it does in her songs. She employs this technique to add meaning, which is why she has also crafted purely instrumental pieces. "Silence is one of the most important components in my music, but we shouldn't forget that it's an illusion. Silence is also a sound; what happens is that when you use it in contrast to another sound, it seems empty," she explains. Repetition of elements is another characteristic feature of her music and her videos, for which she works with the German photographer and animation director Alex Brüel Flagstad. "These types of repetition speak about my experience. I also use them to think about the world and about the fear of the unknown that we have already experienced in Europe, which is when people can be easily manipulated." History repeats itself and in her videos this is represented by a crystal ball that distorts reality; using identical dancers moving in unison, or by using multiple repeated images of her own face. Agnes, before we finish, if you could ask for one wish, what would it be? "I would love to create an album that could transport people, do you know what I mean? Take people away to a different place. That's one of my biggest obsessions. For the time being, I hope to continue making many more albums." Does it make you happy? "Yes, very much", she concludes. 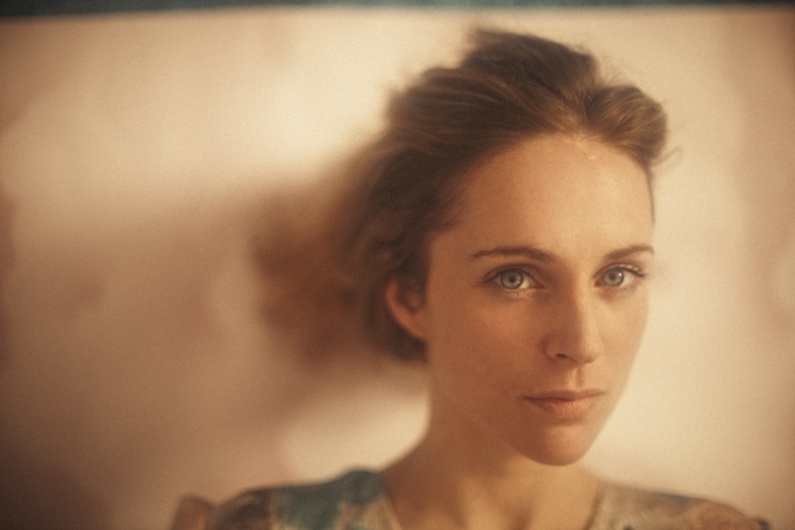 The happiness of Agnes Obel also has the power to transport those around her.